If you are a caregiver looking for senior living options for an aging loved one, you probably have lots of questions! Some of these questions can be answered by searching through websites and literature and other questions are best answered through an actual tour of the community. How do I get my loved one to the community when he or she doesn’t agree to move? How much freedom does a resident have in the community? If money runs out, what should we do? This guide is intended to answer those hard-to-ask questions that family members really want to know. 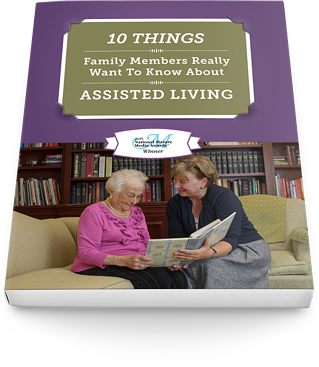 We invite you to take a closer look at assisted living as we highlight some of the sensitive issues that every family encounters along the way.